Christmas is nearly upon us again! I love this warm and cozy time of year. And the bracelets on social media are more than awesome!! 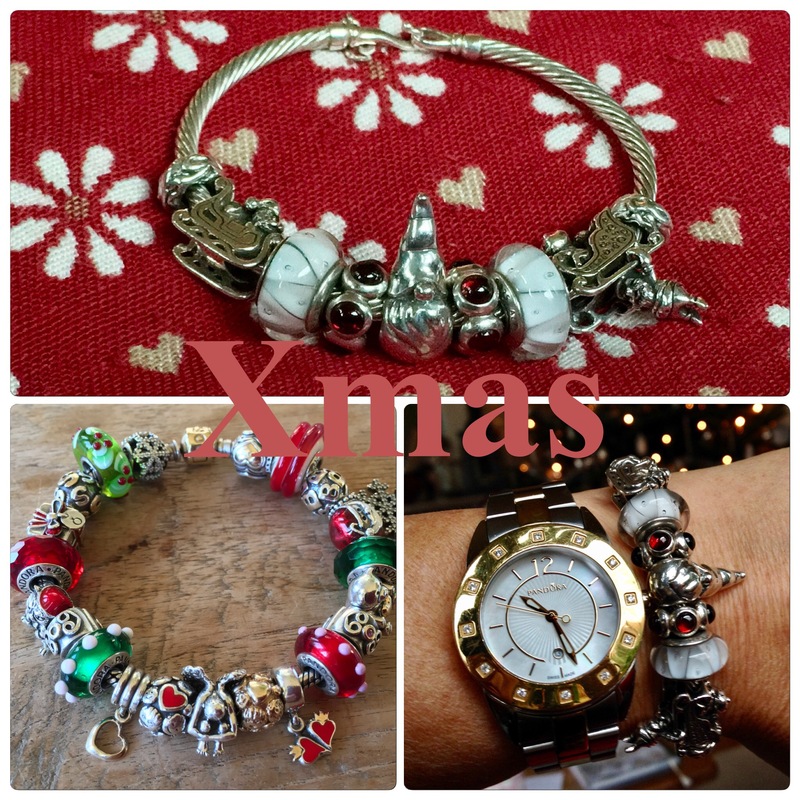 I started my Christmas bracelet four years ago in 2012. 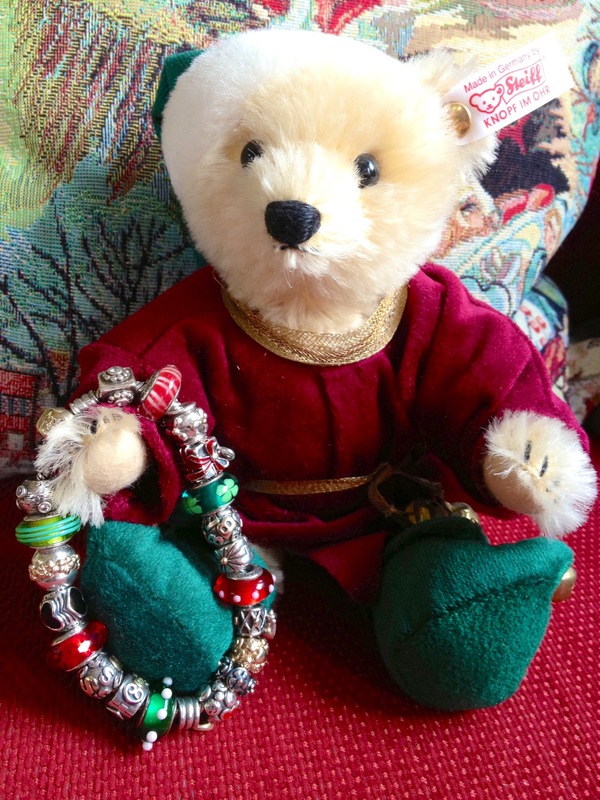 I did not have Christmas beads, but lucky enough two bracelets, one with red and one with green glass. I pulled them apart and made a Christmas bracelet. Normally I have complete bracelets, I only pull apart bracelets for making the Christmas one! And put them back together after Christmas. 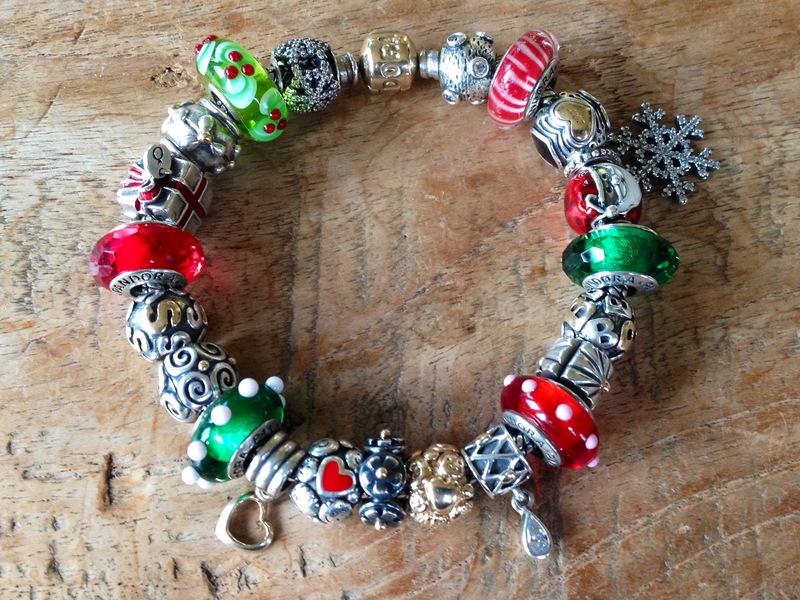 This is a bracelet with only Pandora beads. I feel family is at the heart of the Christmas holidays, so I have the two Family Ties and the initials of my husband and son. The two Black Friday beads the ball with black hearts and one gold and the present. Filled up with love and health I was very happy with the result and I repeated the process the next years. Bracelet in 2013, only added green peridot and pink/red sapphire clips (the sapphire clip not in this picture). 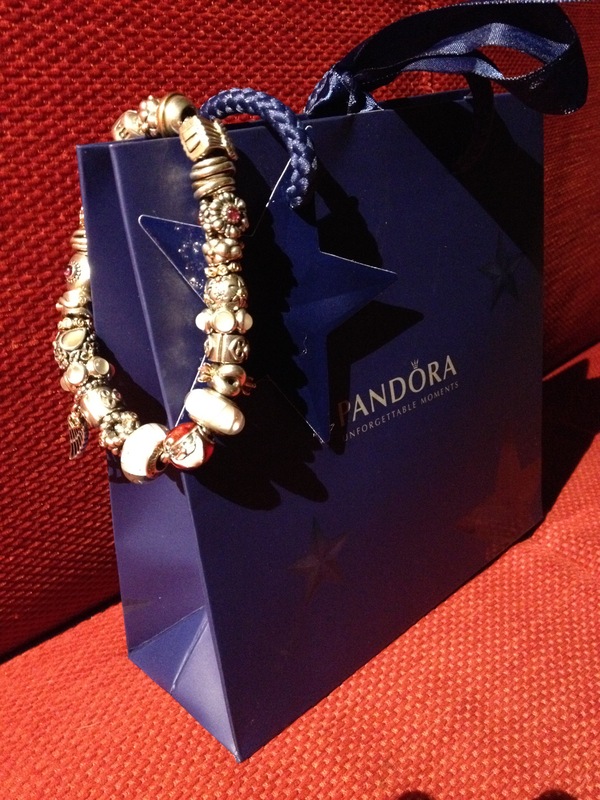 In 2014 I bought the adorable Pandora Santa and Black Friday, the snowflake. 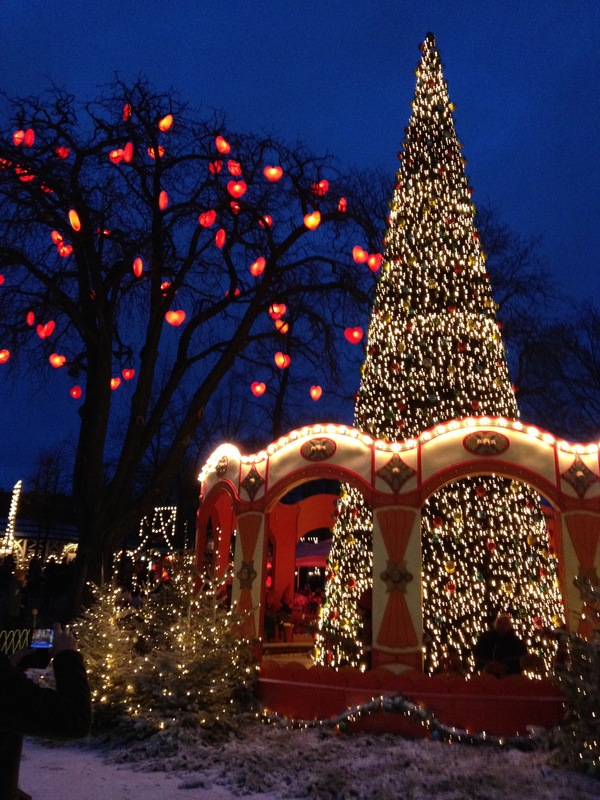 In December we went to Copenhagen! 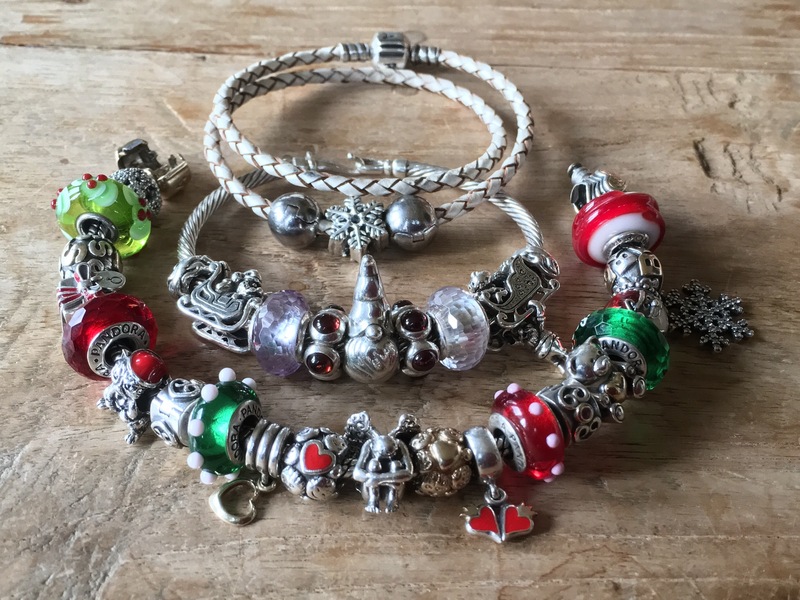 And there I bought the Pandora snowflake dangle in the Pandora concept store, and the OOAK Trollbeads in the Trollbeads store located in the beautiful Tivoli park! In 2015 I started out with the same bracelet as the year before. Then I changed it to red and white and added my beloved angels to this mix. 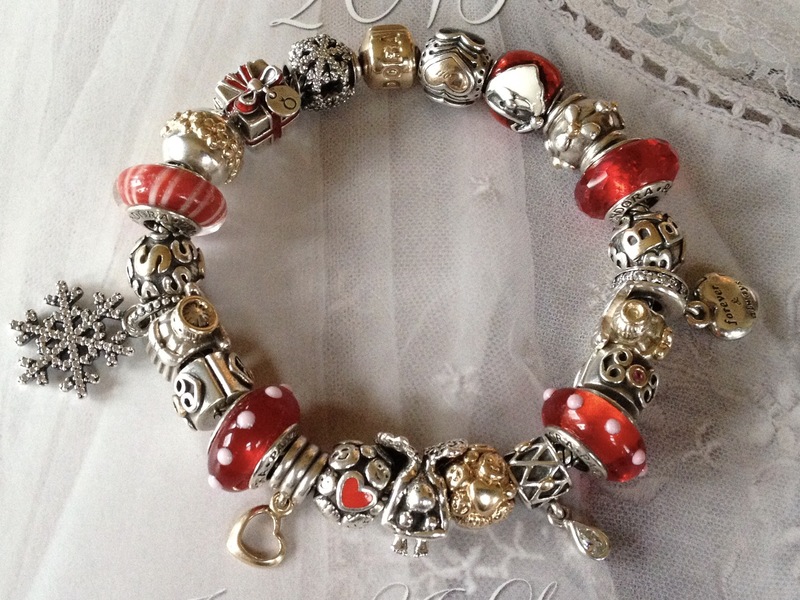 My all time most favourite bead the Ohm beads OhmMyGod is the focal bead! From this bracelet my Angels bracelet evolved. The story of that bracelet is also on my blog. This year I went back to my traditional red and green. 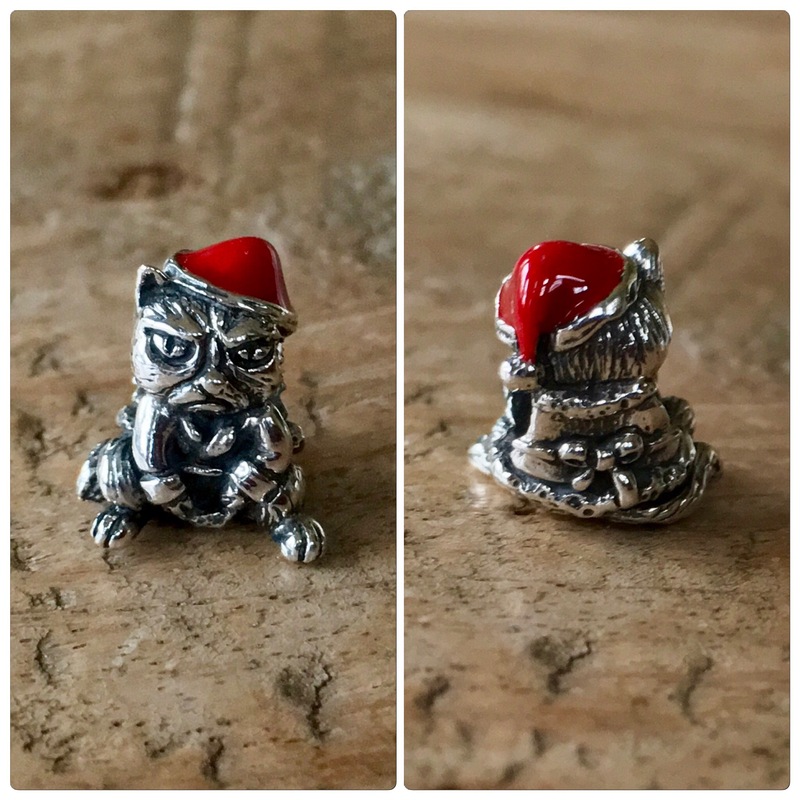 Newest addition is Ohm beads Grumpy Cat. And added the red Ohm beads Cherry Sauce. 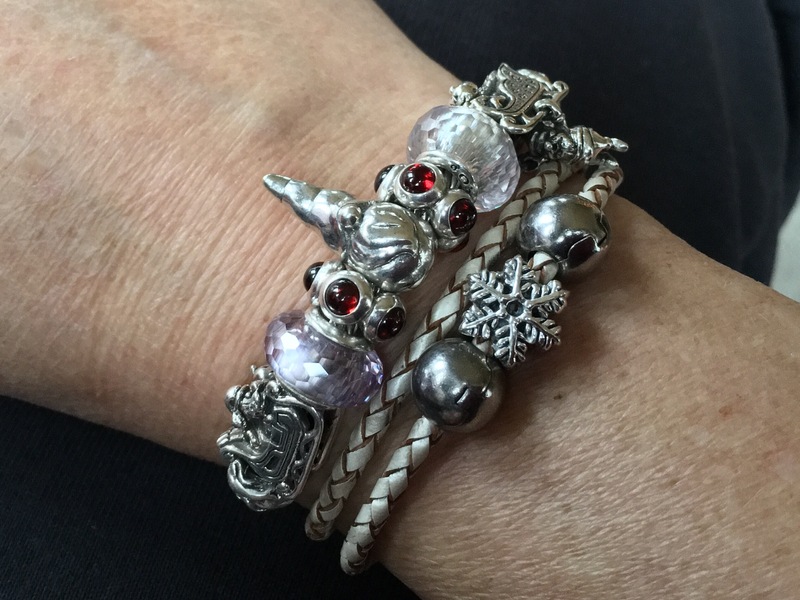 With the Ohm beads versatile Sugar Sleigh Rides I made an additional bangle! 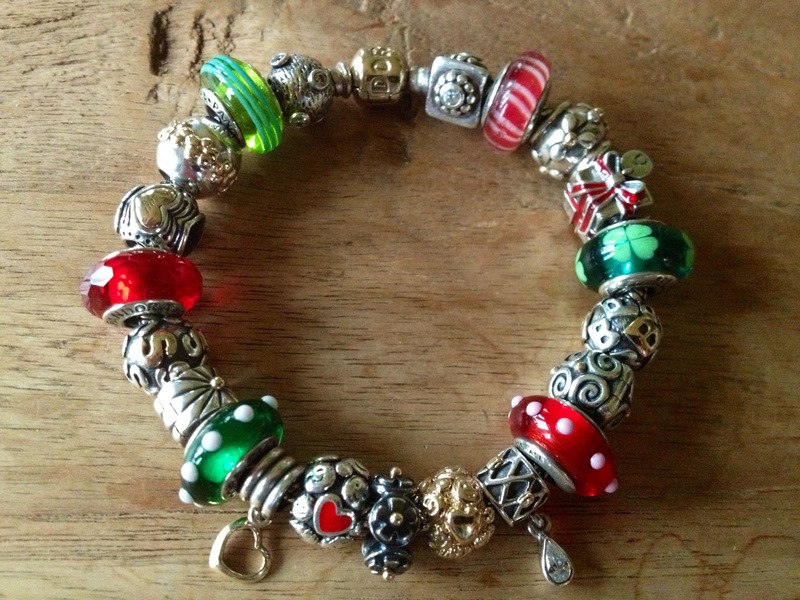 Love those two beads, with a pumpkin, a turkey and santa on board I have used them for all three holidays! On here is also Red Bali Frog Tomte. This is a Scandinavian Christmas gnome. I really wanted him to come from Scandinavia, so I bought him at Perlen Odense from Denmark. Perfect for our trip to Copenhagen next week! And then I got this gorgeous set, two crystal glass beads and a snowflake all from Ohm beads. The colour is really light grey and white. This makes my Christmas bracelets complete! 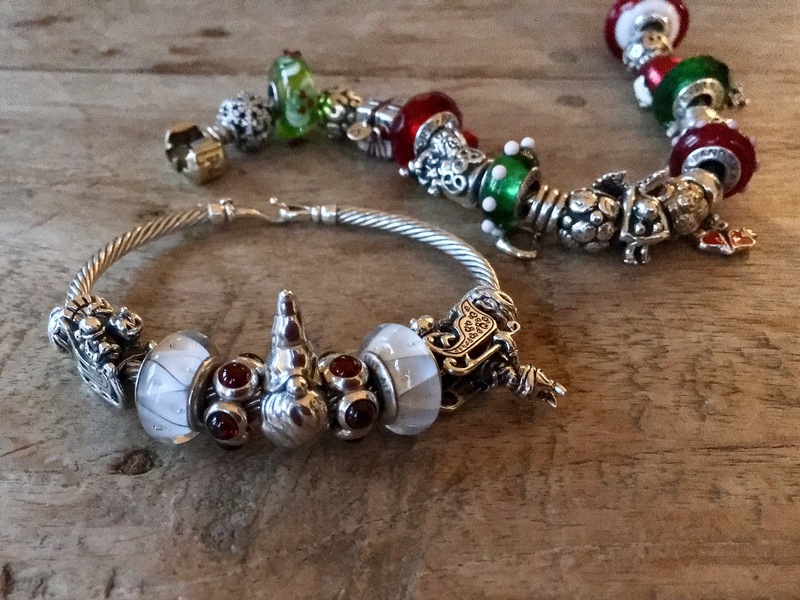 I love to add to my Christmas bracelet every year and make the holidays even brighter! I wish everyone a very happy Christmas! Hi, Trudy! Lovely bracelets! 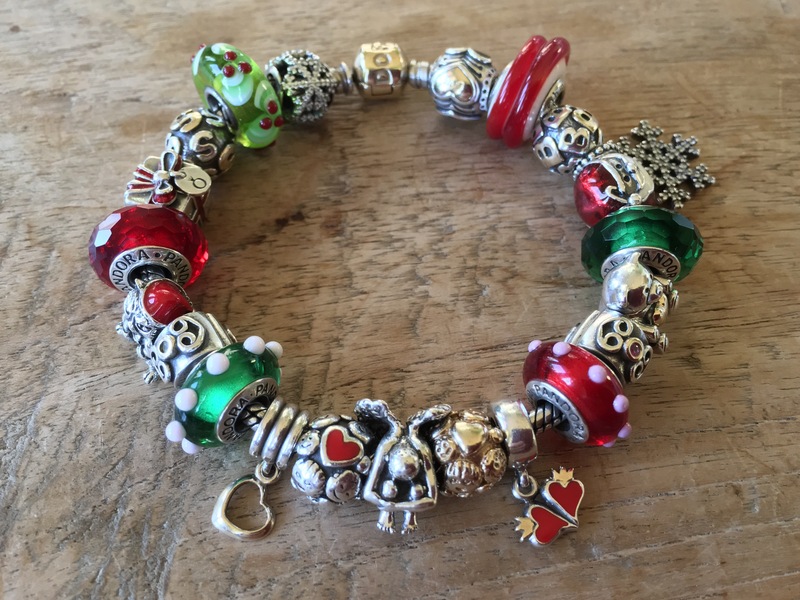 In the early Christmas bracelets there is a red and white striped Pandora bead. Is that the Cinnamon Stripe? Yours is nice and cherry red, so I wondered if there were another bead, only truer red. Thank you . Hi Kathy, yes, that’s the Cinnamon Stripe. I believe this was the colour they came in. 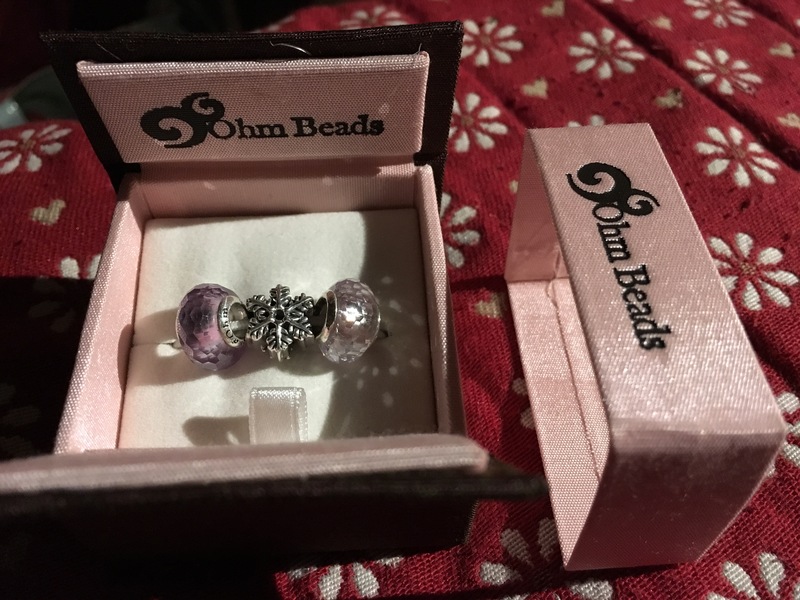 ← Ohm beads Beadmas day 9!